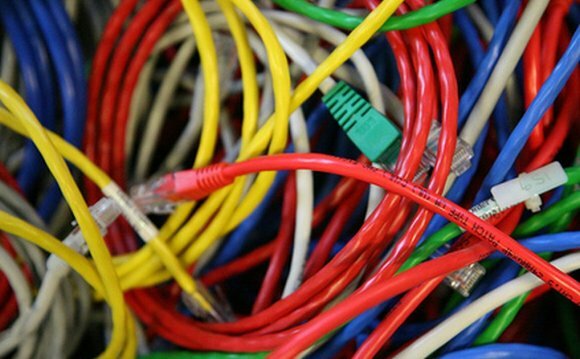 This article is simply designed to just explain what computer network cables are, and how you can identify the different types and categories. There are basically two types of computer network cables. There are straight through cables, and crossover cables. They look very similar, but it is possible to tell them apart. This article will help you do just that. There are also different categories of Ethernet cables such as Cat 5, Cat 5e and Cat 6. This article also seeks to explain the differences. The following are the different "categories" of cabling. As time goes on these categories have improved, so that the Cat 7 cable is now the latest and newest type of cable. However, Cat5, Cat5e and Cat6 are typically the most used types. The list below, summarizes each of the different types of ethernet cabling. Cat 3 - typically used for voice cabling and the slower 10Mb Ethernet. These were a popular cabling format in the 1990s. Read more on the Cat 3 Cable here. Cat 5 - used for the 10/100Mb Ethernet networks and also used for voice cabling, token ring and ATM. Cat 5 cables were superceded by the superior Cat 5e cabling. Read More. Cat 5E - an improved version of Cat5 cabling that prevents cross-talk and is rated at a much higher 350Mhz. Cat5e cables are also used for the 10/100Mb networks and the 1000Mb (or Gigabit Ethernet) networks. Read more on Cat 5e cables here. Cat 6 - used for the 10/100/1000Mb networks. Similar to the Cat5e cables but with larger gauge wires. People incorrectly assume that getting Cat 6 cables will automatically increase your network speeds to Gigabit (1000Mb) speeds. However, this is only possible if everything in your network (cards, switch and cables are all Gigabit certified). Read more on Cat 6 cables here. Cat 7 - also known as class F, this fully-shielded cable is relatively new and isn't used as much at the moment. Cat 7 cables support frequencies of up to 600Mhz. Read more on Cat 7 cables. Read more on Cat 7 cables here. However not only is it important to be aware of the different categories of network cabling, it is also beneficial to be aware of the "ends" and "plugs" at each end of the cable. There are basically two types of Ethernet cables. There are the normal regular straight through cables and the other type is crossover cables. I will explain both of these separately below. When you buy "regular" computer network cables, you are really just buying a straight through Ethernet cable. This means that both ends of the cables will be identical. The colours of the smaller cables inside the ethernet cable, will be in the same order, from left to right. This type of cable is used for connecting a PC to a hub/switch or for connecting a router to a switch. The hub/switch performs the crossover for you, that is why you need a crossover cable, for when you connect a PC directly with another PC. A crossover Ethernet cable have a different look on either side of the cable. The purpose of the crossover cable, is to connect one device directly to another device, without a switch or hub being present. So if you were connecting one PC directly with another PC, you would then use a crossover network cable. The image below, shows you the differences between a crossover cable and a straight through computer network cable. Category 5e cables are the most popular and common computer network cables used today. To gain a fast Gigabit network, you don't just require Cat6 cables, but you are also in need of compatible gigabit components, such as Gigabit network cards and a Gigabit Router. Well I hope that through this article you have managed to learn some different things about computer network cables. Hopefully you can now identify the different types of network cabling and also be aware of the different categories of network cabling. If you have any questions about computer ethernet cables, be sure to let me know or leave your opinion in the form below. What's your experience of Network Cables? Have something to say about computer network cables? A question, a tip, an experience? Please share! What is the LAN cable?